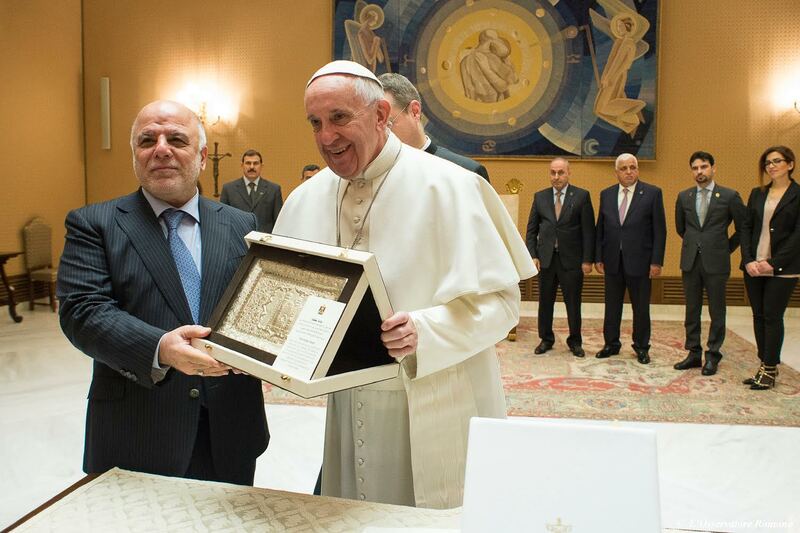 Pope Francis received Prime Minister of Iraq Haydar al-Abadi in audience this morning in the study of the Vatican’s Paul VI Hall. According to a communique released by the Holy See Press Office, the discussions were cordial and reference was made to their good state of bilateral relations, to the life of the Church in the country and to the situation of Christians and ethnic and religious minorities living in Iraq. They addressed the importance of their presence, it noted, and the need to protect their rights. After meeting with the Holy Father, the prime minister met with Vatican Secretary of State, Cardinal Pietro Parolin, accompanied by Secretary for Relations with the States, Archbishop Paul Richard Gallagher.